The Modular and Portable Building Specialist Accreditation and Training Centre was conceived to deliver specific NVQs to the sector it represents. 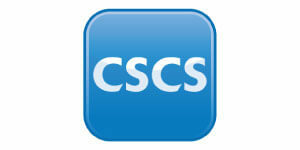 To provide recognition to your workforce and to obtain CSCS cards we will have the best information and service available. NVQs are vocational qualifications which are work related and reflect the skills, knowledge, understanding and competence in respect to specific work areas/occupations. Vocational qualifications originated from the belief that if you can assess an individual and award them a recognised qualification for their efforts, this will help to improve their ethos and attitudes towards safety and working practices on site. 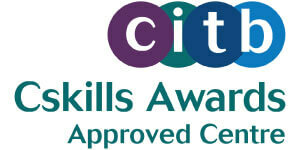 NVQs are derived from National Occupational Standards [NOS]. NOS are statements of skill, knowledge and understanding needed in employment that clearly define the outcome of competent performance in a given trade, occupation or profession. How do you go about getting an NVQ? Earning NVQ levels is really about knowing how to do job well and safely as little as two years on the job experience is often enough to qualify you. Simply select the NVQ that you want to start and the first step is the application, one of our assessors will contact you on receipt of the application form to discuss your knowledge and experience. All our learners follow an onsite assessment route when an assessor will come out with the learner on the day to day activities to assess via observation and discussion. Part of the assessors role is to complete a portfolio of evidence on your behalf. How long will it take and what is your commitment? It normally takes between two and four months to gather the evidence to complete an NVQ portfolio, which will involve between two and six observation visits as required. In most cases the timescale is dictated around the availability of the specific work to be assessed.